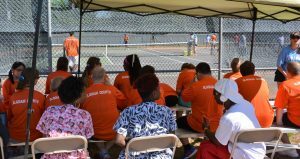 The Gainesville Area Community Tennis Association, Inc. is a 501(c)(3) not-for-profit organization, incorporated in the State of Florida promotes, encourages and fosters the development and growth of the sport of tennis in the Alachua County area. 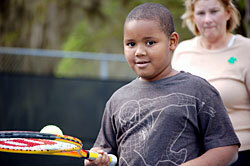 We promote health, character development and academic achievement through tennis. GACTA has worked to foster the development of public facilities and events to achieve this purpose and provides opportunities for healthy social, emotional and educational development of young persons through peer encounters in athletics and through family participation. All board members are volunteers and active tennis players. In 2008, GACTA launched a new tennis program at the McPherson Recreation Center (1717 SE 15th Street) for members of the SE Boys & Girls Club. Sessions were held on Mondays and Wednesdays from 4:00 p.m. to 5:00 p.m., from February to end of April. We also expanded the program to the Woodlawn Unit of the Boys & Girls Club (located at 331 SE 20th Place, about one mile west of McPherson), with sessions on their outdoor basketball courts from 3 p.m. to 4:00 p.m. on the same days. We purchased some junior racquets for this program, and obtained some donated racquets and tennis balls. There were over 30 participants at McPherson, with an additional 20 participants at the Woodland Unit. Our volunteers had a wonderful time with this terrific bunch of kids. A big thank you goes to all our volunteers: John Bennett, Darla Chmiel, Ron Chmiel, Alice Criner, Sandy LeVeen, Marie Mayer, Bobbie Mehan, Bonnie O’Brien, Mike Oransky, Christine Shurtleff, Libby Smith, and Mike Weiss. The Extended Day Enrichment Tennis Program was initially funded as a pilot project by GACTA, and was begun in three local elementary schools during the spring of 2009. 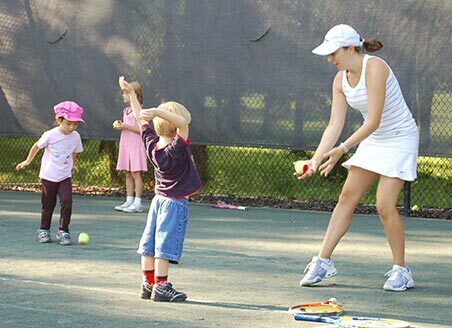 It was designed to test the theory that if qualified tennis teachers are paid to actually teach the after-school programs, rather than rely on school personnel to do this, the program will be far more successful in introducing young children to tennis. The tennis teacher would be in a better position to recruit the most interested students into additional tennis activities, such as Junior Team Tennis. Three area schools participated in the program during the spring semester, and the students and after school personnel uniformly raved about its value. A USTA Recreational Tennis grant was awarded to GACTA during the summer of 2009, to expand the EDEP tennis program from three to ten elementary schools during the 2009-2010 school year. 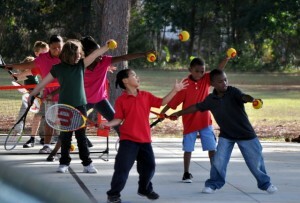 For the 2010-2011 school year, GACTA received a USTA Florida Share the Love grant to continue our EDEP tennis program. Also this year, the Alachua County Choices program signed on as a partner, to encourage children to participate in tennis as a healthy lifestyle choice. 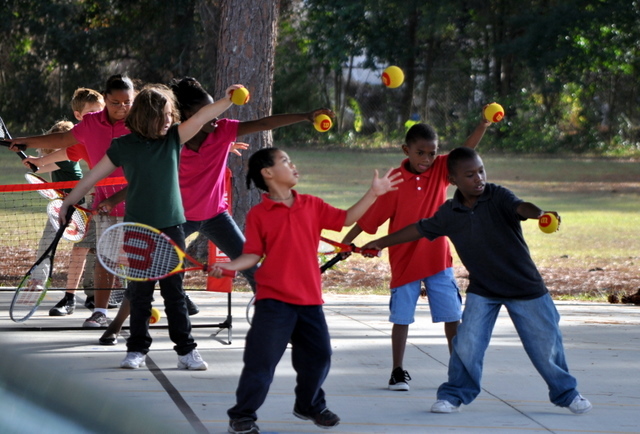 The county’s participation has allowed the after school tennis program to expand to almost all the elementary schools in the county, serving around 300 children. Sadly, CHOICES pulled their funding of the program at the last minute, so this program did not continue through the 2011-2012 school year. This pilot program received initial funding from GACTA, and was begun June, 2009. The program consisted of a “pay it back” system in which each junior player was assigned a mentee and a mentor. In return for weekly hitting sessions with his/her mentee, the player was entitled to a free session with his/her mentor, usually a college player or coach, who was reimbursed for their time by the program. The mentoring program received excellent reviews from the participants, parents, and coaches. As tennis tends to be an individual sport, we felt there was a need for junior competitive tennis players to be encouraged to become a part of the tennis community as a whole. Encouraging sportsmanship and good court behavior are important in the development of the junior player, and they can benefit greatly from being placed in the position of being responsible and a role model to younger, less-experienced kids. In addition, the mentee can benefit greatly by receiving affordable hitting time with a more experienced player. The first middle school tennis club was formed in east Gainesville, in partnership with 21stCentury Community Learning Centers (21st CCLC) with tennis instruction and mentoring provided from summer 2012 – present at Howard Bishop Middle School. Tennis instruction has been provided both during the summer enrichment program as well as during the regular after-school program in fall and spring. Abandoned tennis courts at Howard Bishop Middle School were revitalized. As a result, Howard Bishop is the only public middle school in Gainesville with functional tennis courts on its campus. 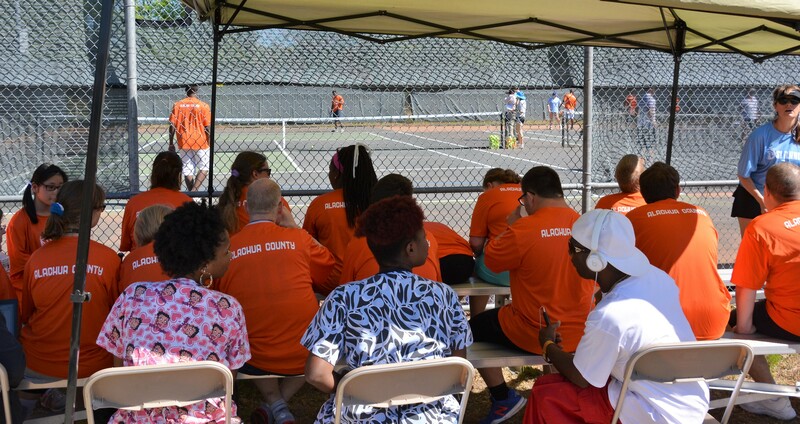 The first middle school tennis team (Howard Bishop Middle School) to be composed of players primarily living in east Gainesville competed in the GACTA Alachua County Middle School Tennis league in 2013. The first USTA Jr. Team Tennis team, composed entirely of disadvantaged middle school players, was formed and is competing in the fall 2013 season. 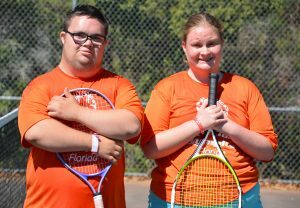 From 2011-2014, tennis instruction was regularly provided at an east Gainesville city park (McPherson Recreation Center) in partnership with the Eastside Advocacy Group for Youth and Mike Oransky Tennis (http://homemagazinegainesville.com/?p=664). 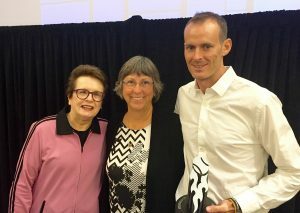 On January 1, 2014, GACTA hired its first Executive Director, Addison Staples in a part-time position, and GACTA became not only a USTA Community Tennis Association but also an National Junior Tennis and Learning Chapter (NJTL). This nationwide network of non-profit youth-development organizations, now under the USTA Foundation umbrella, provides low-cost tennis and education programming to more than 225,000 under-resourced youth. This arm of GACTA became known as Aces in Motion, and in the past four years, has become the largest part of GACTA. 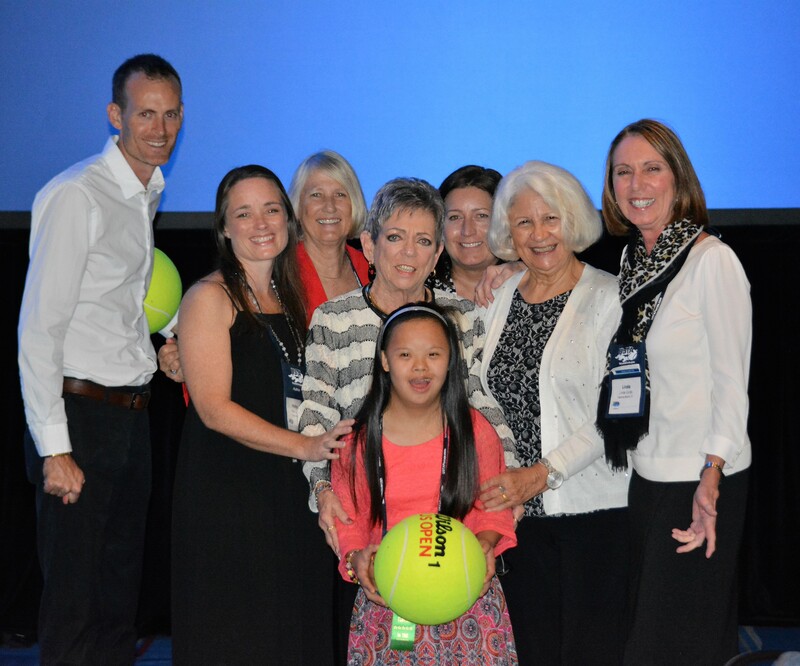 From 1/2015-12/2017, GACTA has been part of the USTA Foundation’s NJTL Capacity Building Program, a program that helps selected NJTL chapters grow sustainably by providing mentorship, grants, convenings, and other support. In 2016, GACTA was the recipient of the USTA’s NJTL Chapter of the Year Award, and was USTA Florida’s Member Organization of the Year. Over the past four years, Aces in Motion has developed many community partners, including the City of Gainesville, the Gainesville Police Department, 21st CCLC, the University of Florida, Special Olympics Florida, the River Phoenix Center for Peacebuilding, charter schools, and other non-profit organizations. We are now a funded United Way Impact Partner, funded by the Alachua County Poverty Reduction Program (CAPP) and is an agency in the UF Campaign for Charities. In 2016, Aces in Motion programming reached over 1000 youth from low income families or with special needs. AIM After-School Program: Serves youth, with a focus on middle grades students, from low-income families and emphasizes academic achievement, character development and physical activity through tennis. We provide tutoring, mentorship, ACT/SAT prep, enrichment activities, and other academic support to our participants. This program is operated at a city Recreation Center with tennis courts, and runs five days per week. Gators in Motion: A partnership between AIM and the UF Department of Tourism, Recreation and Sports Management. 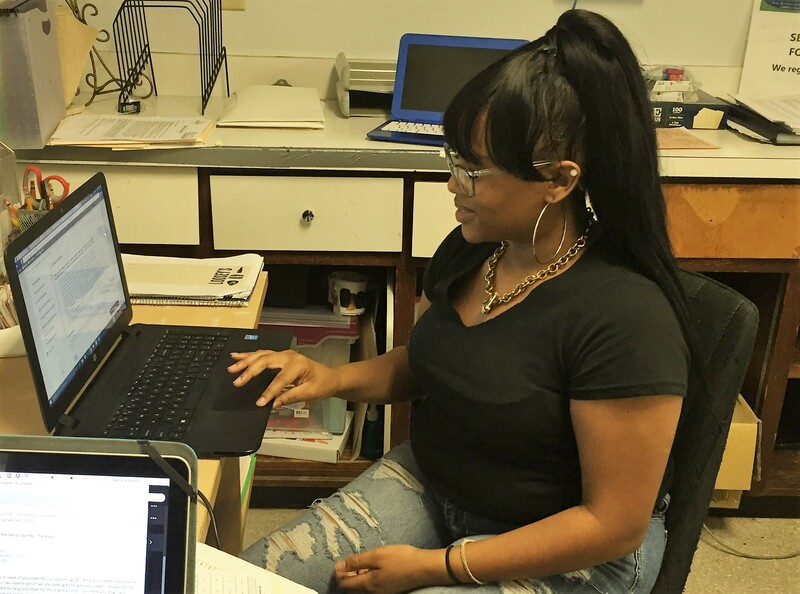 This after-school program provides an introduction to college life, exposure to career pathways, and access to one-on-one tutoring from UF students. 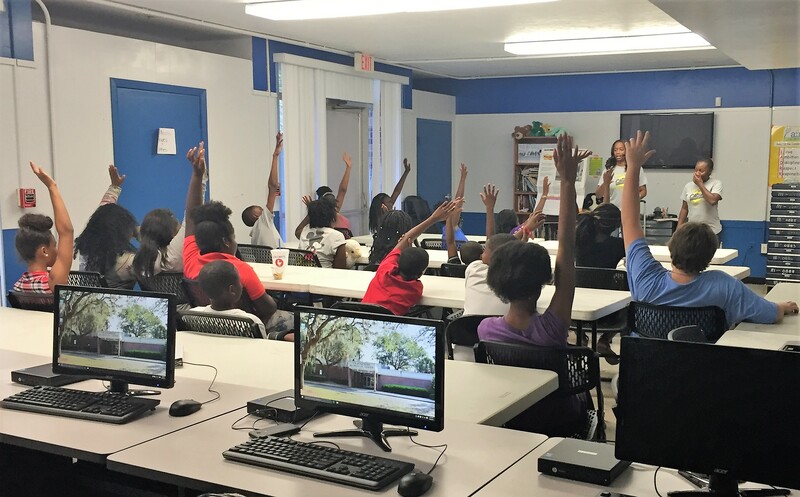 Starting in the 2017-18 school year, AIM students will spend three afternoons per week at UF. Coaches in Training (CIT): Once in 9th grade, AIM participatns can enter the CIT program, which focuses on goal setting, college and career readiness, community service, and leadership training. This program can lead to employment as an AIM coach. Tennis/Life Skills Outreach: We provide our tennis-based curriculum at more than ten sites, including schools, centers and low-income neighborhooods, reaching over 400 youth people each week. AIM Adaptive Tennis: Provides opportunities for teens and adults with autism and other developmental disabilities to learn the game of tennis, stay active and become part of the AIM team. Please don’t hesitate to contact us with any questions about past, present or future GACTA programs.